Focus on the exact set of tests that are needed to save time and money, and accelerate Continuous Integration. 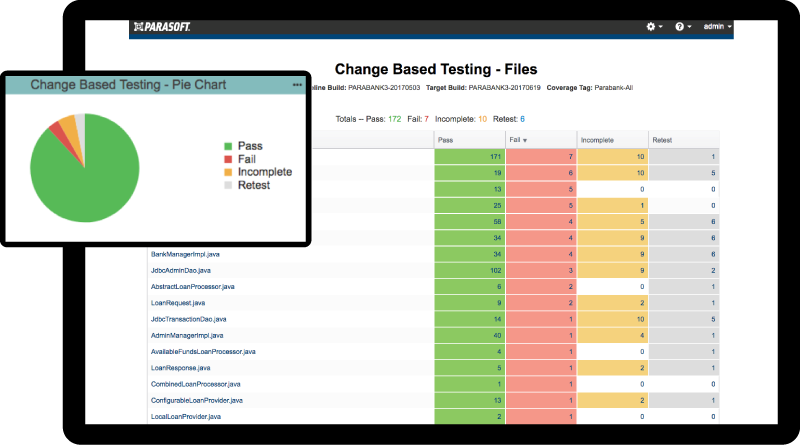 Adopt Change-Based Testing technology to identify exactly what code needs to be tested after each new build. Use automated testing to focus testing efforts (unit testing, automated functional testing, and manual testing) on validating the features and related code that are impacted by the most recent changes. This approach significantly reduces test execution and integration time, accelerating the Continuous Integration process.